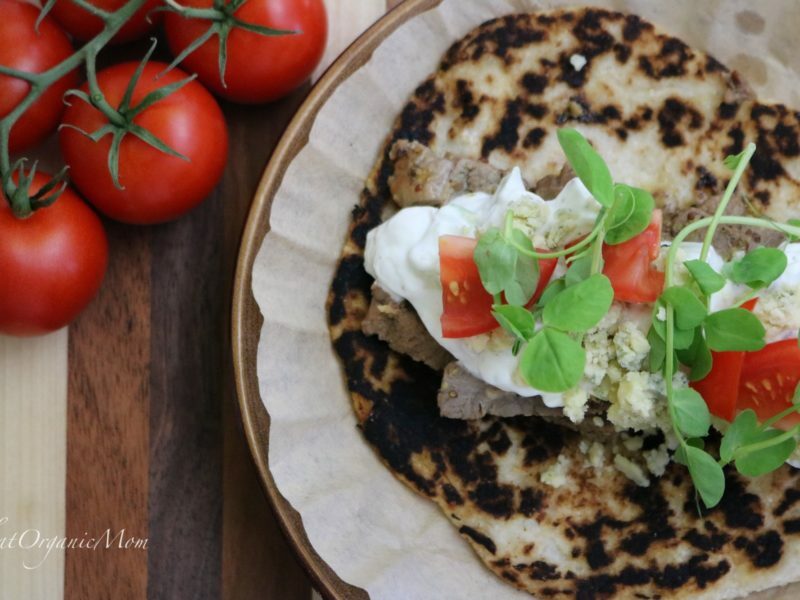 Low Carb Gyros - Gluten Free, Sugar Free, Keto perfect! 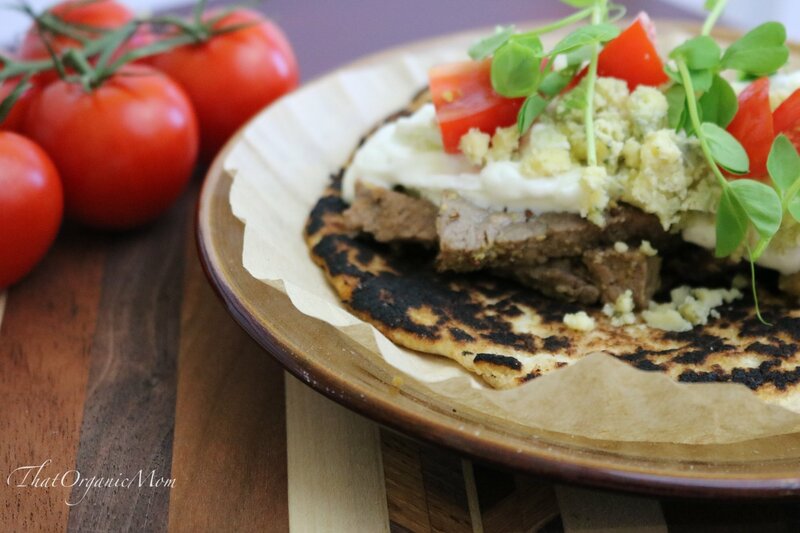 Low Carb Gyros – Gluten Free, Sugar Free, Keto perfect! 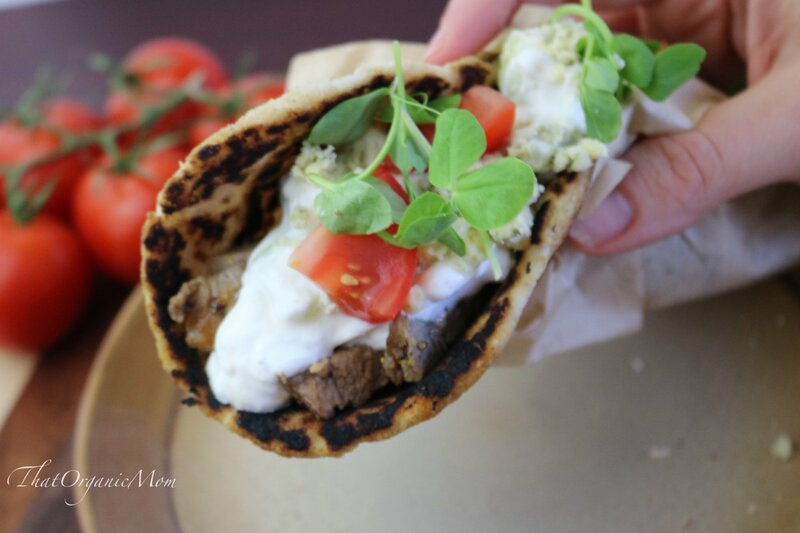 Way back when I first started this site, I shared our Greek Night Gyros recipe. I still love making Gyros, but I wanted to enjoy them without the carbs. Hence, my Low Carb Gyros recipe. Of course, you can make this recipe without the low carb pitas (or Naan bread) but by merely substituting a store bought option instead! For those of you following a low-carb lifestyle or even those Trim Healthy Mama's out there; try making your own. It's a simple recipe, and it tastes fabulous. I start by making this Keto Naan Bread by Diet Doctor (minus the garlic butter). A couple of quick tips, follow the recipe exactly, then if your dough isn't the consistency of play-dough, just add a bit more psyllium flakes. You should be able to form the little dough balls without a mess; it shouldn't stick to your hands. One thing I love about this recipe is that you can increase or decrease the servings right on the site. If you have iron skillets, they work great for cooking Naan, just use a quick spray of oil to keep them from sticking. This Naan Bread taste amazing right out of the skillet, but if you do eat them leftover, just reheat first to restore the chewy, soft texture. I like to use fine coconut flour as I feel it is closest in texture to regular flour. 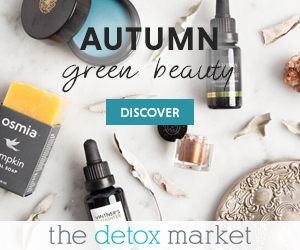 One time I had to substitute avocado oil in place of the coconut oil, and it worked out perfectly. Replacing the oil cuts down on the “coconut-y” flavor, though it doesn't eliminate it due to the coconut flour. Once you have your lamb and gyros, it's just a matter of assembly. In a strainer salt the cucumbers to pull out some of the water, let the salted cucumbers sit while you mix the other ingredients. Mix yogurt, lemon juice, diced onion, garlic, salt and pepper in a bowl. Drain cucumbers well then add to yogurt mixture. 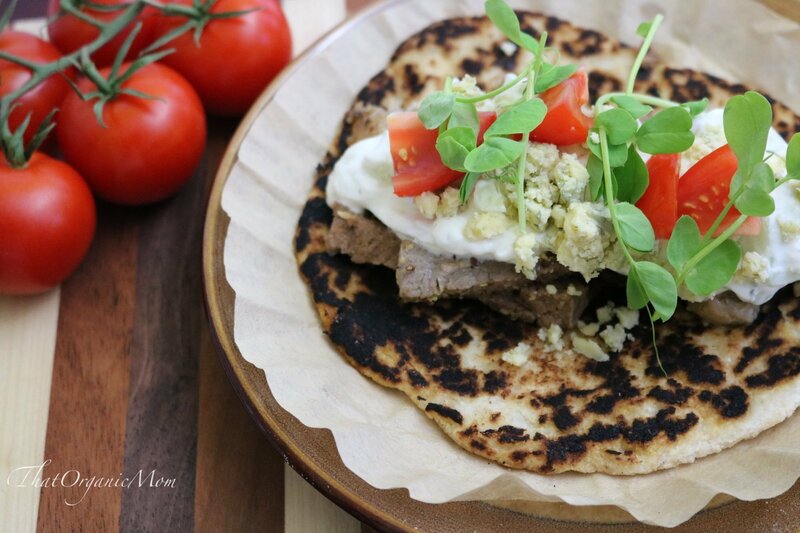 Place pita flat on plate then top with meat, Tzatziki sauce, tomato, and Stilton cheese, garnish with micro-greens. These Naan bread hold up really well but if you prefer, you can use an unbleached coffee filter to make holding them less messy! For our Low Carb Gyros I added extra fat with Stilton Cheese, but if you are not a fan of the blue cheese family, just use traditional feta or even sharp cheddar. I upped the nutrient content by adding in some pea shoots for my micro-greens. They are simple enough to grow. If you try my recipe, let me know how it turns out, but don't forget to save this recipe on your Keto or Low-Carb board on Pinterest!